Add users to defined Roles and define specific actions that each role can perform within OrangeScrum. 1. How many departments I can create? You can create as many departments you want. 2. How many users I can add to a role group? Currently, you can add 100 users. However, you can increase this limit as per your need. 3. Can I hide few add-ons to a particular group or user? Yes, you can. Define it while creating or editing a role group. You can add or delete Modules for that role group. 4. Is there any support for installation? Absolutely! We have detailed user manuals and installation guide along with videos for you to refer. 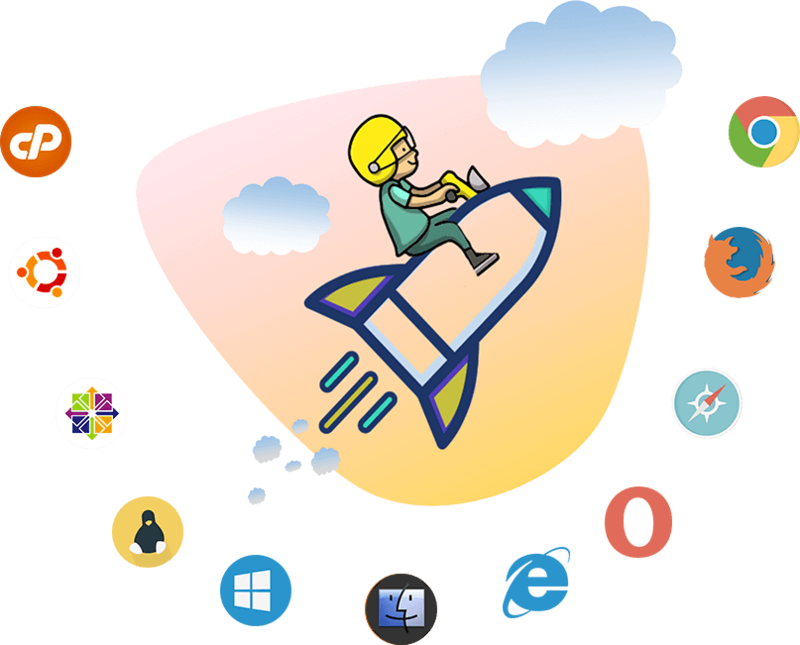 If you still need additional help, you can opt for our paid One-Time Installation & Setup Support for $199 with NewUI add-on worth $129 FREE. 5. Can I refund or exchange the add-on? Once you have made an add-on purchase, we can't refund or exchange the add-on with any other add-on. We recommend you to try the demo before you buy any add-on. 6. 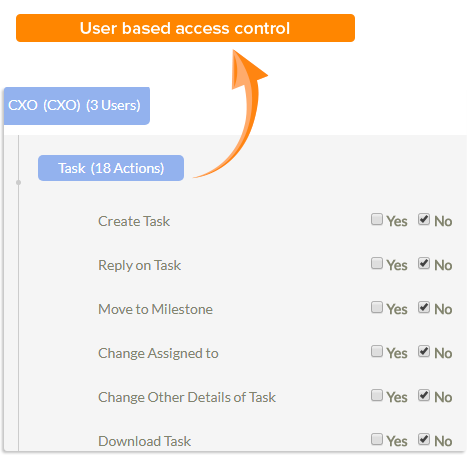 Can you customize my User Role Management add-on? Yes, we can. Please send us your requirements to support@orangescrum.com. 7. What payment modes do you accept? Orangescrum uses Braintree for payments and we do not store any of your credit card information. We accept payments through all major credit card services (MasterCard, Visa, American Express, etc). If you’d like to pay via PayPal or be invoiced and pay by wire transfer, please email us at support@orangescrum.com. 8. How can I get the add-on update? Orangescrum sends an email with the update files to your registered email. Free add-on update & support is provided for the first year. Thereafter, you can pay 50% of the add-on license price to get the updates. However, without any update, you can still use Orangescrum without any restriction. For ex. if you buy the add-on at $100 on Jan 5, 2019, you can get free updates till Jan 4, 2020. After Jan 4, 2020, you can pay $50 to get the updates. Let's say, you didn't opt for the updates in 2020, and you wanted the update on March 20, 2021, then you can pay only $50 for the add-on update. You can reach support@orangescrum.com or our live chat for further clarification. Maintaining a logical understanding of the project before the OrangeScrum was a task that was time consuming. With OrangeScrum this is not a concern. By having a central tool for managing both my clients and project and also the ability to streamline business processes to match the goals of the company and deliver within budget and timelines, is the best thing a company can do. The most beautiful thing about OrangeScrum is easy in its approach which makes it a lot simpler to use. OrangeScrum makes a complicated project way easier to run within my team.